modern amenities for modern travelers in the city of Indore. Enjoy a cozy stay at Hotel 7th Cloud with its warm accommodation and top quality amenities. The hotel is suitable for various leisure and business travelers to the city. 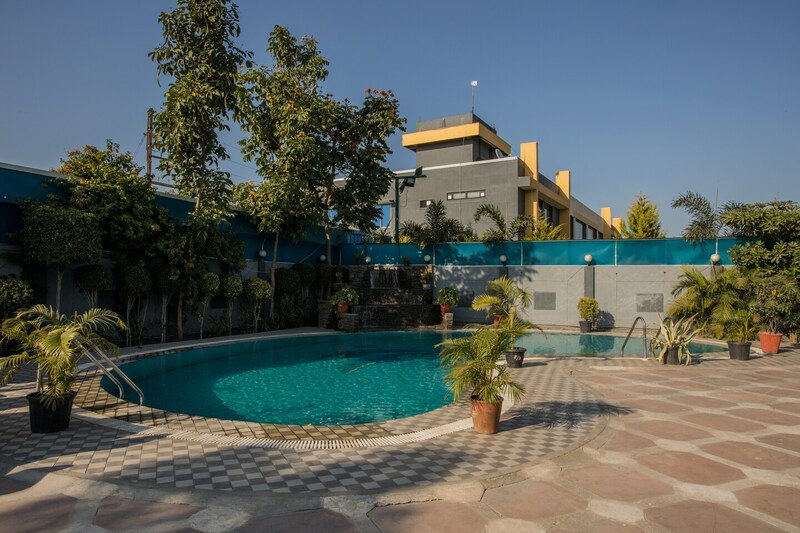 The hotel is a short distance away from the Rajendra Nagar Railway Station and International Airport making it easy for outstation guests to reach the hotel. The rooms are simple, spacious, and elegant with basic modern amenities provided for a pleasant stay. Hotel 7th Cloud has a dining area, an in-house restaurant and a bar which serve a variety of local delicacies and other dishes as well. Residents can also enjoy a splash in the pool. Annapurna Temple, Vaishnav Dham Mandir, and Lal Bagh Palace are top tourist spots nearby from the hotel and offer you plenty to do during the day.